Good quality sleep is essential for both our physical and mental wellbeing. The close connection between sleep disturbance and mental ill-health is well recognised. The mainstream view is that disturbed sleep is a consequence of the mental illness. However, there is good reason to believe that the connection is actually the other way round – poor quality sleep gives rise to symptoms described as mental illness. People who have been deprived of sleep for prolonged periods show symptoms of psychosis with hallucinations and thought disorders. Some drugs used to treat medical conditions, such as high blood pressure, disturb sleep as a side effect, and frequently also have depression listed as a side effect. 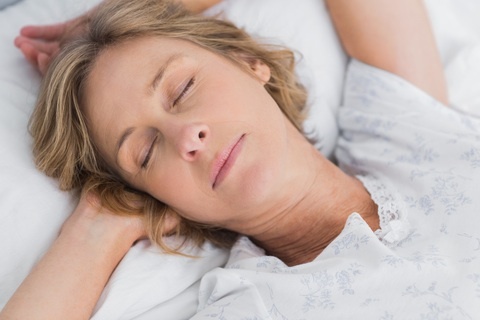 People who suffer from a medical condition called sleep apnoea frequently present with symptoms of depression and are often mistakenly treated for “depression” before the sleep apnoea is diagnosed. We have two major types of sleep – SWS (Slow Wave Sleep) and REM (Rapid Eye Movement ) sleep. During Slow Wave Sleep our body is in restorative mode and does the rest and repairs that are necessary to maintain physical health. REM sleep, which is when we dream, helps us to process unexpressed emotion- allowing us to wake up refreshed & no longer carrying the emotional “baggage” from the previous day. The more emotional arousal we experience in a day (stress), the longer the REM sleep that is needed to discharge these experiences. However, REM sleep uses considerable amounts of energy. If the balance of REM to slow-wave sleep is disrupted (normally about 20:80), it results in non-restorative sleep – we wake up tired – not refreshed. This makes it difficult to cope with the next day, leading to increased stress and an increased need for REM the next night. As this cycle progresses we find it more and more difficult to cope. Also, REM sleep repeatedly switches on the “Orientation Response” part of our brain’s motivational mechanism, meaning that if we dream too much it leaves us not only exhausted but lacking all motivation. Waking up lethargic and demotivated can be the beginning of a slide into depression. As REM is energy consuming, often when the brain runs out of energy and cannot do any more REM, we wake up – leading to early morning waking – a common sign of depression. So, quality sleep is fundamental to good mental and physical health. As stress and emotional arousal drives REM sleep, it is important to reduce stress – thus relaxation techniques, practised regularly will aid sleep. Relaxation practice, especially active relaxation such as Tai Chi, is probably the single most important step to better sleep. The body produces chemicals in response to stress – the fight or flight response – designed to help us run or fight in our primitive ancestry. These chemicals are mentally arousing and aim to keep us alert and hence oppose sleep. Physical exercise, particularly aerobic activity, uses up these chemicals and calms the body. (Obviously, not directly before sleep time as activity itself is alerting). Stimulant agents, especially caffeine, oppose sleep. They should be avoided within 8 hours of sleep time. Nicotine and alcohol also impair quality sleep and should be avoided. Despite the fact that many people think it is relaxing, television does not lead to good sleep. Firstly, it is a bright light source which inhibits melatonin production in the brain (a chemical that makes us drowsy to induce sleep), and, secondly, it provides many, rapid images to the brain which must be interpreted and filed in REM sleep. If the sleep pattern is disrupted, the brain needs to be trained back to regularity. This can take some time (up to a month), depending on how long the disorder has persisted. Our brains rely heavily on association for proper functioning. Therefore, the brain must learn to associate being in bed with sleeping. So, bed should be used only for sleeping. If you are not asleep within twenty minutes of going to bed, get up and do something tedious until tired and then return to bed. Repeat this until asleep. Get up at fixed time in the morning even. Do not nap during day time. Over time the brain will re-learned a good sleep pattern. Note: If you think you may have sleep apnoea, a condition which causes the breathing to stop during sleep, consult your doctor. If you would like support with improving your sleep, contact any counsellor – psychotherapist in the MindFully Well network and they will be happy to help you.